Thanx Gegam I got my parts today! They arrived several days ago but I was so busy I couldn't get them until today. Just want to let everybody know that this is the 2nd transaction I have done with Gegam and he has been a pleasure to deal with. He is very helpful and he aims to please, I cant stress enough how he goes out of his way to make you happy. Another satisfied customer. Sounds like your looking for a deal. 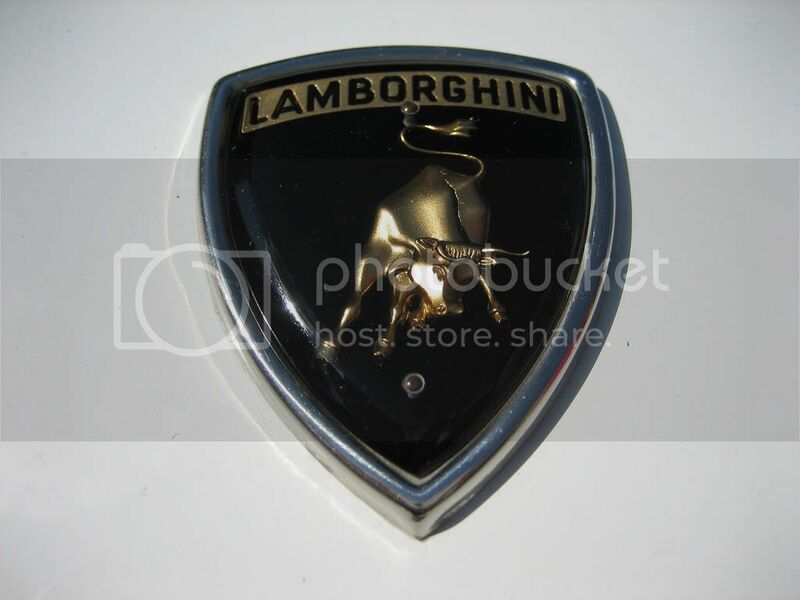 i bought front hood badge from lambo stuff..
saw their listing through ebay. In ebay's picts, the crest is black. when i receive it, its fking BLUE one!!! i asked them if there's any mistake. Is that a two piece emblem? If he sent me that emblem I would donate it to sience and study the effects of how your body digests it after I make the seller eat it! Hahaha ...i wish i can make him eat it. i thought the countach's is laminated with acrylic..